Zombie Highway – Shake Off Those Brain-Eating Hitchhikers with Your Favorite Kind of Car. You’ve shot zombies. You’ve run from zombies. You’ve even used plants against zombies. In Zombie Highway, you’re going to be dealing with zombies using the all American automobile. Hop into a vehicle that suits your style and hightail it out of civilization as fast as your tires will allow. Just watch out; the undead are still lurking around the fringes of society with as big an appetite for brains as ever. Use your superior driving skills to run them down or shake them off without crashing on the post-apocalyptic interstate. With luck, you just might survive to find a plot of land free of the walking dead. Whatever fate awaits you over the horizon, just know that is no going back on the Zombie Highway! Congratulations! You have accomplished what hardly anyone in a zombie apocalypse has done: secured a working vehicle and got out of the city. However, your survival is still far from guaranteed. As you drive down the road, zombies will latch onto your car with inhuman strength and try to get at the tasty gray matter within your skull. Don’t let them! Show these freeloaders precisely why the road belongs to the living. Steer your vehicle by tilting your device to the left and right. Knock zombies off of your ride by sideswiping the debris and totaled cars littering the highway. Just be sure to not crash into them. Choose a ride that suits you, from standard sedans to gas-guzzling SUVs. All cars have different values for speed, weight and handling. Survive as long as possible and drive as far as you can. Perform well to unlock new weapons and vehicles. The 9mm handgun. It may not pack a lot of punch, but it’s better than nothing and has a lot of ammo. The M-SMG. Fill the undead’s soft bodies with a hail of bullets. The Pocket Shotgun. Literally blow zombies away with a powerful blast of buckshot. Zombies come in all shapes and sizes. You’ll have to hone your driving techniques and shooting skills tactfully if you want to kill them all. Watch out for the following undead fiends. Regular zombies go down easily, but come in great numbers. Strong Zombies take more hits to shake off. Fat zombies use their weight to mess with your steering and tip your car over faster. Regenerators heal over time if you don’t get rid of them fast enough. Zombie Highway is a fast and addictive app that seamlessly combines aspects of the infinite runner with the always popular zombie killer. What’s not to love about it? It’s speedy, it’s funny, it’s challenging, and it has nearly endless replay value. Download Zombie Highway and hit the interstate with the driving wheel in one hand and a sawn-off shotgun in the other. 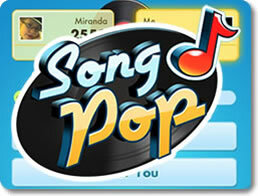 SongPop – Challenge Your Friends to a Fast-Paced Game of Song Identification! Benji Bananas – Swing from Tree to Tree and Go Absolutely Bananas! CSR Racing – Customize Your Car and Dominate the Underground Racing Scene! 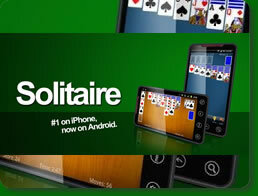 Solitaire (by MobilityWare) – Stack the Suits and Form Tableaus of Alternating Colors in Classic Solitaire.